Acer might have brought out plenty of laptops at its New York press event earlier today including Switch Alpha 12, Aspire S 13, and Predator 17 X, the company still has some love for desktop form factor. Built upon on the foundation of Predator G6 gaming desktop that the company launched last year, Acer today has unveiled the brand new Predator G1. As opposed to its older brother, the Predator G1 physique is much smaller in size – 16-liter chassis, to be exact – to the extent that Acer actually bold enough to label it as portable gaming desktop. While still maintaining the aggressive looking exterior design and customizable light zones from last year’s Predator gaming desktops, customers still able to fit a full-size graphics card into Predator G1 – even one that is as mighty as the NVIDIA GeForce GTX Titan X.
Paired with a 6th generation Intel Core processor, the Predator G1 also able to support up to 64GB worth of DDR4 memory as well as a 3.5-inch 4TB 7200rpm hard drive or a 512GB M.2 solid state drive. Creative Sound Blaster X-Fi MB5 comes as a standard on the gaming desktop PC which delivers 7.1 surround sound for it. In terms of I/O ports, they are certainly no shortage of them on Predator G1 which include Gigabit Ethernet (powered by Killer, five USB 3.1 Gen 1, audio-in, audio-out, headphones, microphone, and USB 3.1 Type-C Gen 2. There is also an SD card reader on the PC. 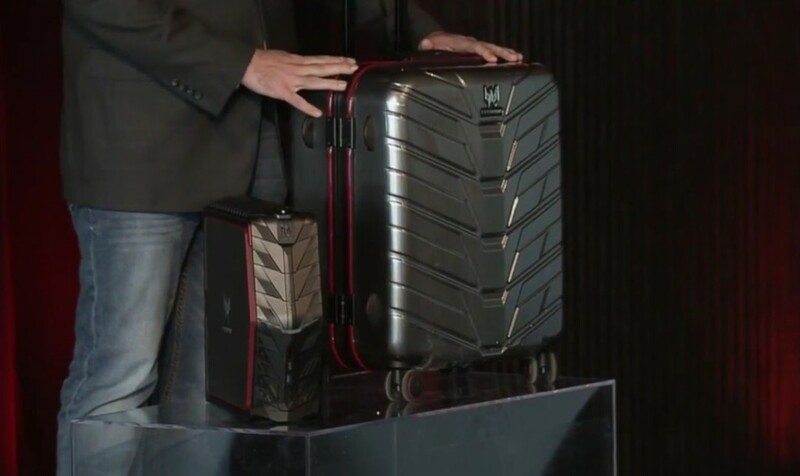 Interestingly, Acer has also crafted a custom luggage bag for users to easily transport the Predator G1 around. 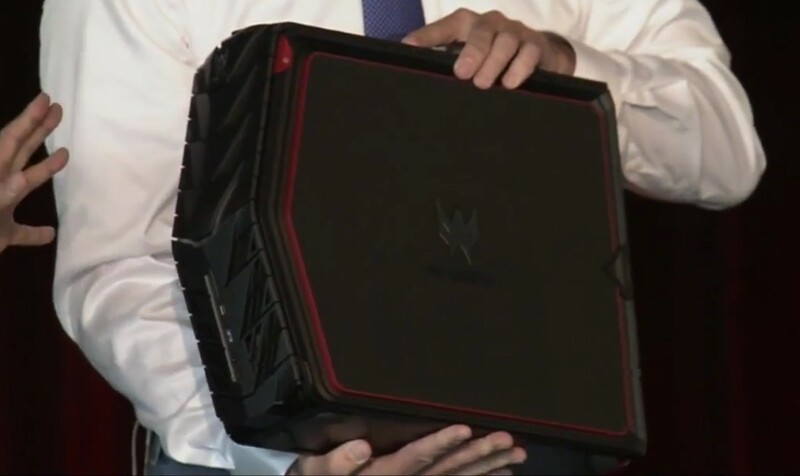 While it is an optional accessory, the bag will be made available for the first 1,000 owners of the new gaming desktop through a promo will take place in 13 countries throughout the world later this year which unfortunately does not include Malaysia. 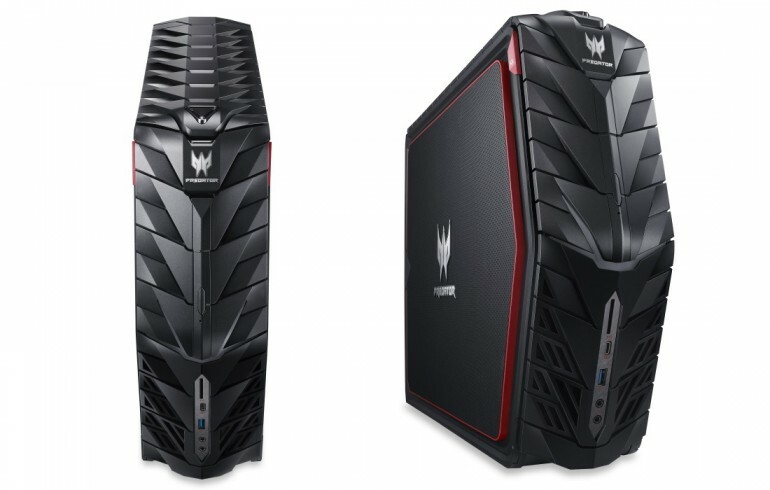 Europe will be the first market to receive the new Predator G1 desktop with a starting price of EU 1,199 (about RM 5,289) when it is released there in June while it will be available in US and China in the following month for USD 2,299.99 (about RM 8,984) and CNY 10,999 (about RM 6,626).